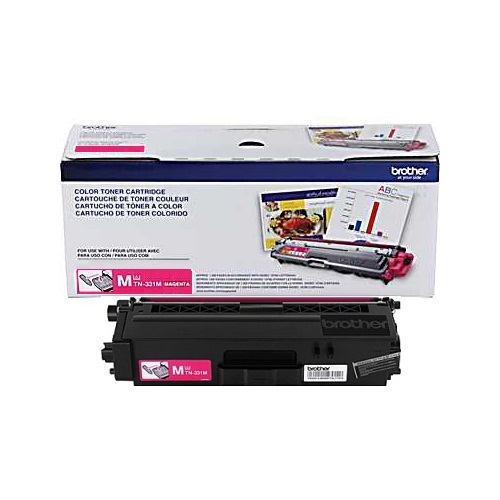 Genuine OEM Magenta Brother TN331M Toner Cartridge with 1,500 page yield. The color laser toner cartridge fits the following model(s): Brother DCP-L8400CDN, DCP-L8450CDN, HL-L8250, HL-L8350CDW, HL-L8350CDWT, MFC-L8600, MFC-L8650CDW, MFC-L8850. Brother part number(s): TN331M.